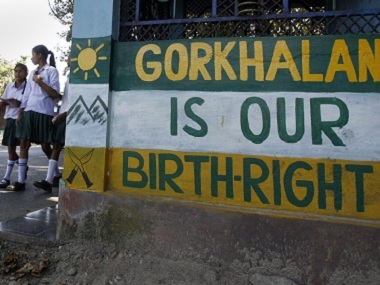 We, an Indian Gorkha a permanent citizen of India where a freedom of speech is a Constitutional Rights. Since many decades we had been sacrificed our valuable life for the betterment of the Country India. We have a loyalty and calmness with honest till we die. We have a beautiful slogan “It is better to die to be a coward”. Gorkhas are found in the whole world. In India native Gorkhas are found in Darjeeling, Kalimpong, and Jalpaiguri districts and some other parts of the Indian states. We have an own language, culture and traditions which the World recognized it. Apart from this the big leaders of the World had accepted us as a brave and honest person by blood who can do anything for the betterment of the Country. But nowadays, this name or title or tag which was maintained by our beloved ancestors becoming endanger which is dying. 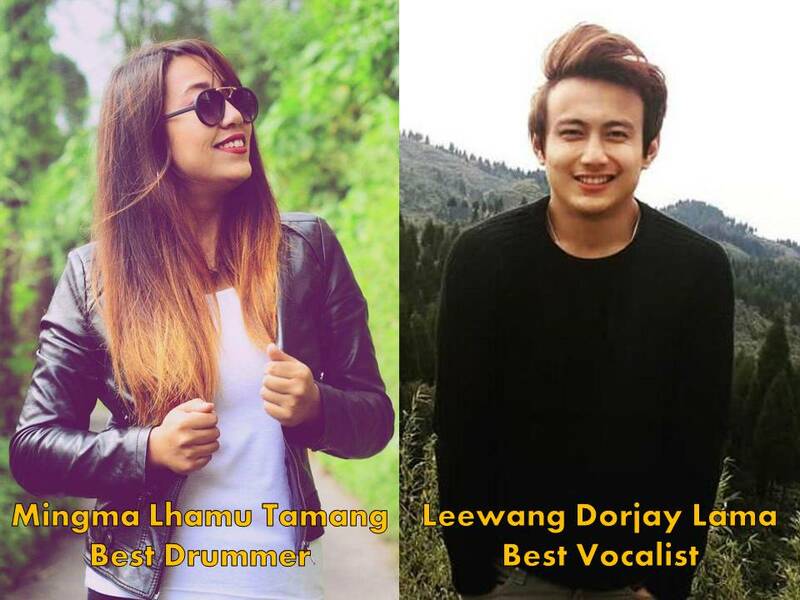 Some of our Gorkhas have changed their blood and forget to know that they were born by the Gorkhas who had sacrificed their valuable time and lives for the betterment of their (Gorkha) communities and culture. But these some Gorkhas are forgetting the past that how many lives were burnt down and suffered, now they became illiterate and untrained, they became worthless and weightless because they betrayed the faith and beliefs of the whole Gorkhas who were suffering and waiting for the rights in different corners of the World. But one thing I feel ashamed that what we are still waiting for? Why we are not being forward to convince or aware those people who are moving in a wrong direction. They didn’t know they are becoming weaker when they bow down in front of the opponent. They are becoming a soldiers or sepoys of the opponent and they didn’t know that on the battlefield always soldiers will die and the kings negotiate with each other. Try to spread or rumours of job opportunity which is not possible. Because we have more than 3 lakh unemployed youths in our community. Try to spread a news of the hills development. 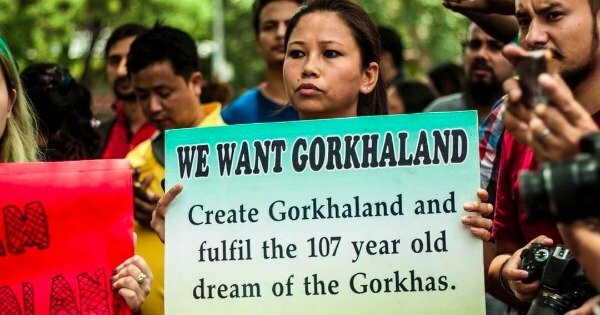 Which they don’t know the Gorkhaland only the ultimate development of the Gorkhas. Assembling or forming a group through misguiding the innocent persons. Because they have a motive to form a majority on their side so then the Gorkhaland movement will automatically dissolve or die. Supporting the police atrocities against the Gorkhaland activists through ransom arrest and detention and making a false complaint about them without any proof. They know if the competitor will decline then they have a chance to compromise and rise up. Targeting the department, where most of the innocents are connected like as- Tea garden workers wage and bonus matter, Teachers recruitment, Tourism and some other unfruitful matters. Is these thing fulfils our necessities? Is these thing gives the justice to the families who have lost their sons&daughters and those who have suffered more than hundreds of day? Is these thing fulfils a lack of employment opportunity? Is these thing gives us a separate states’ identity? Each and every Gorkha have suffered on this movement and now you are taking an advantage of the innocent Gorkhas. You are giving a wrong message to the newcomer youths selling ourselves with our ancestor’s last breath demand. Every time we are drowned by these type of leaders. It is our own problems which we have done wrong choosing and accepting a weightless, untrained and illiterate person. And now we have a fear of arrest. Can’t we fight the unlawful activities? We have to protest the arrest and detention without any cause. We have more educated persons in our community but they are enjoying the show and waiting for the climax. But they didn’t know that proverbs “Maalay khaney baagh le timilai pani khancha”. So it is my humble request to all the Gorkhas, our pride and title are going to die if we don’t stand up right now. It will be the worst thing ever in the history of Gorkhaland movement. So first, we should educate and aware ourselves and prepare to fight under the leadership of those who are trained and literate in the fields of loyalty, conviction and hungriness of separate state not of a separate agreement or discussion with the opponent. We have to prepare ourselves for whatever the obstacles it comes we have to able to resist until we don’t get a fruit. Still, we have time to choose right path instead to enter into a conspiracy of some peoples gathering. Because we have already sacrificed so many valuable lives and time which should not go into the vein. So take right decisions or do your duty which can motivate the youths. Your or our one right step can be the big reason to reach our destination. Unity provides the destiny. 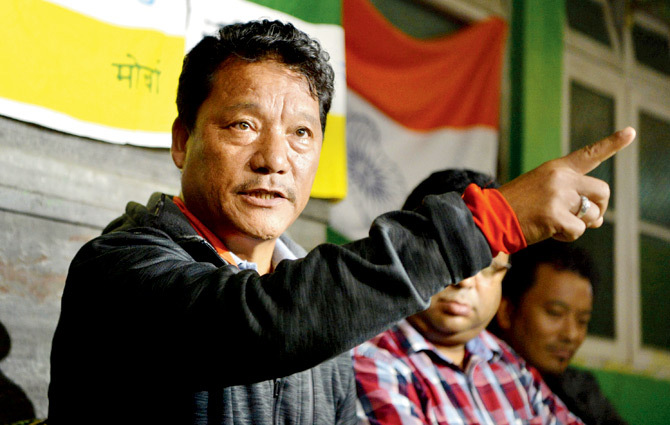 Be the first to comment on "Gorkha’s Pride in Danger?"